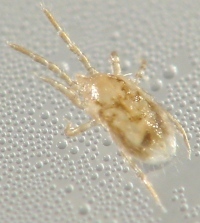 When birds build nests in homes, they sometimes bring with them bird lice (mites). 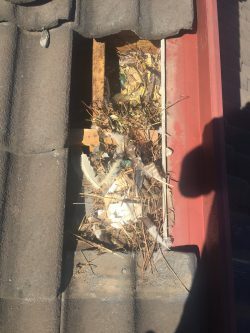 If the birds leave or get trapped and die, the bird mites leave the nest in search of a new host, moving through wall cavities and ending up in bedrooms where sleeping humans provide them with a blood feed. In controlling bird mites around homes, the removal of bird nests is the most important step. Areas surrounding identified breeding sites should be inspected for additional nests, as well. Following the disposal of all infested nests, insecticide treatments may be applied to treat visible specimens. 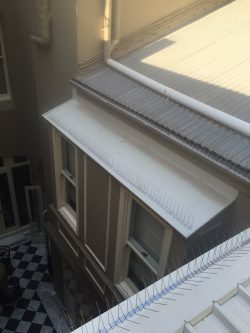 Bites from bird lice can cause a rash and severe itchiness – personal insecticidal repellent can offer some relief, but a pest controller is necessary to get into the roof to treat for bird mites, find and remove the nest and treat any areas inside the house with an appropriate insecticide. 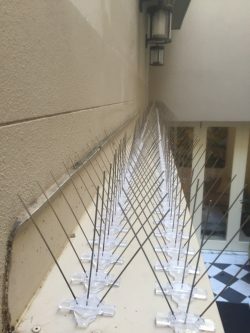 For insecticides to be effective, however, they must be accompanied by measures to prevent birds from re-entering the house. Make an online enquiry for Bird Lice Removal service or call us now on 1800 284 442.